Pala-Tech Laboratories mission is to develop innovative, high quality, palatable product formulations for use in companion animals…dogs, cats, horses and small mammals. Our products are sold exclusively to licensed veterinarians to ensure the products are used in accordance with a valid veterinarian-client-patient relationship. The pet’s veterinarian is the most qualified individual to determine what is necessary and beneficial for the optimum health of the animal. 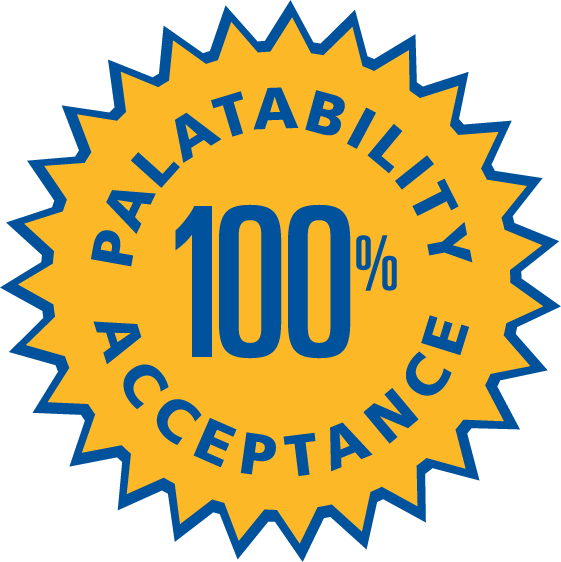 Every Pala-Tech product is supported with our unique 100% Palatability Acceptance guarantee. The guarantee is simple: If a pet does not readily consume a Pala-Tech product, the company will willingly replace the product free of charge. Therefore, there is no risk for a veterinarian or pet owner to use a Pala-Tech product formulation with pets...Pala-Tech guarantees the veterinarian and pet owner’s satisfaction. Thank you for visiting our site. We are glad you came and look forward to proving to you, our customers, why we are the industry leaders at the science of palatability!